The presentation of the Child Magazine was absolutely incredibly fun! I had my daughter pose for me by our nearby park. She was a great sport and spent the whole evening taking as many photos as I could. Of course this was not published but it was a wonderful experience as well as creating some fun mock-ups. Magazine layouts can be fun by means of using the grid system. Be adventurous, be playful and keep it professional as it might be seen by many. 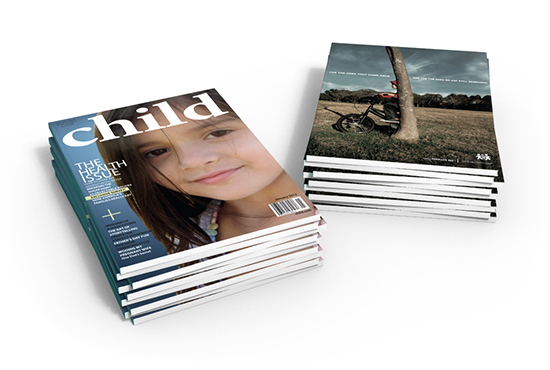 Get to know the magazine publishing company on their "Do's and Don'ts". The last thing you want to do is go outside their rules and standards. 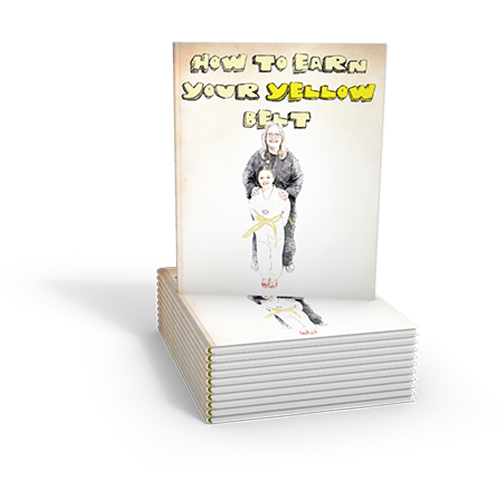 Preview past cover designs as this will help you decide on good taste as well as what has already been done. Certain color swatches, fonts and grids are the magazine's basics that you will want to definitely become accustomed to.Get to know the branding by getting to know the company and what they stand for. My advertisement and Apple sponsor ad for "Action for Healthy Kids". I designed this to coincide with the traditional Macintosh's Apple logo as a great healthy eating choice. The design is simple with the element of surrounding empty space. 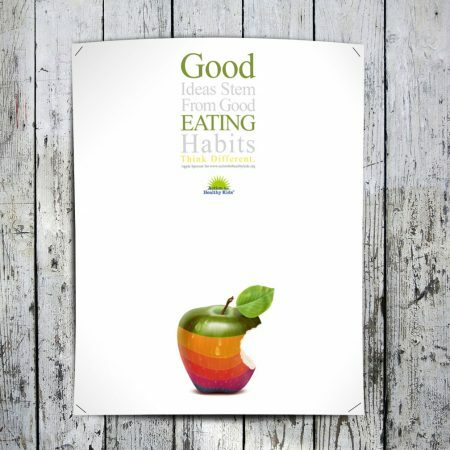 Incorporated Apple's slogan "Think Different" to allow individuals to think healthy and eat better foods. Some ads can be overwhelming with too much useless information that is just not needed. The ideal template for an ad is simple, clean and draws attention. Too much imagery can lose one's attention or lose the intent of what the ad is suppose to represent. An ad can be catchy, comical, have a sales gimmick or even fund raising. Know your audience as this will help you target the imagery that is needed to create your design. Of course, this particular brand will definitely catch one's eye and the audience will either have the interest within the first 5 seconds. Anything that takes longer that 5 seconds and does not grab the attention, it will lose the attention of the majority of the audience. Something that the designer and marketing team need to put into consideration is of course, the "Long Term Branding". Once branded and failed, the audience will recall these moments and usually have a difficult time letting go. I recommend allowing a small audience to view the ad and give feedback before publishing to a majority for all to see.